​During Mòd week, Highland Council car park charges will still be in force. 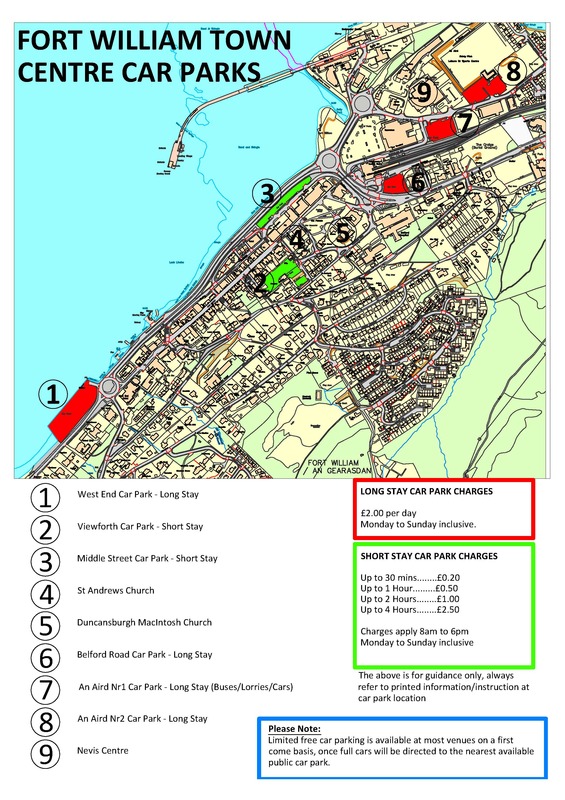 The guide below provides details on all long and short stay car parks within Fort William Town Centre. Wardens will be patrolling the car parks throughout the week- please do not get caught out. 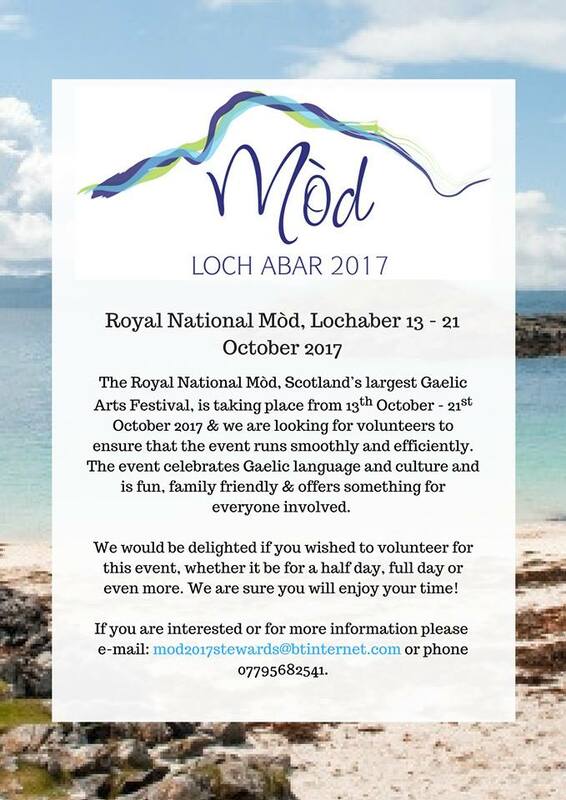 ​With the start date of The Royal National Mòd in Lochaber a mere four weeks away, the local organising committee has been searching for willing volunteers who will help with stewarding duties during Mod week. The role of the steward is crucial to the smooth running of the Mòd and many are needed, in particular at the beginning of the week for the children’s competitions. Being a steward is also an excellent way to get actively involved in this year’s Mòd and soak up the fantastic atmosphere. We would welcome anybody who has an interest in the language, music and culture to come forward and offer their services. If you are interested in being a steward please contact the local organising committee via the contact details provided below. We are pleased to let you all know that the Mòd Programme and tickets for this year’s events are now available to buy ONLINE. Tickets will be available from both offices and in Fort William (venue to be confirmed) soon. Keep an eye out for more information. Am Mòd Nàiseanta Rìoghail (The Royal National Mòd) will return to Lochaber next month (Friday 13 October – Saturday 21 October) for what’s set to be a record-breaking year for the festival, with participant numbers expected to exceed 3,600 - the highest in a decade. 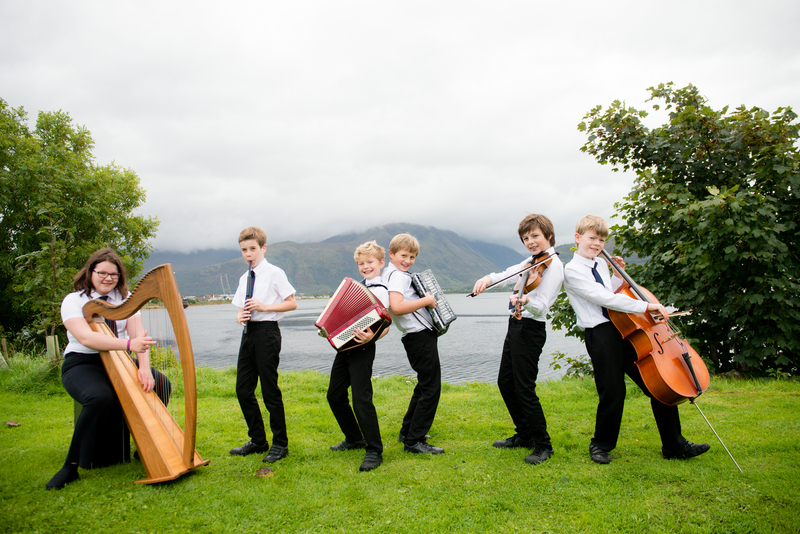 The nine-day spectacular of Gaelic music, arts and sport will take place in Fort William for the first time in ten years and, this year, will welcome representatives from towns and cities that the Mòd hasn’t seen in generations. Last year’s event generated £2.5m for host location, the Western Isles, and organisers are confident they’ll see a similar impact in Lochaber, renowned for its warm and welcoming community. Scotland’s biggest Gaelic Cultural Festival will kick off on Friday 13th October with a torchlight procession, which will see hundreds of people weave through the streets of Fort William in breathtaking scenes. The procession will conclude at the Nevis Centre where a blistering opening ceremony will take place - with very special performances by former Gold Medalist Robert Robertson, Ross Wilson and Gaelic folk group, including a former Mòd gold medalist, Na h-Òganaich officially kicking off this year’s festival. The Mòd is the most important festival of the Gaelic language in Scotland. It sees thousands of competitors from Scotland and across the world, including a delegation of American competitors this year, take part in or watch over 200 competitions in highland dancing, sport, literature and drama, as well as Gaelic music and song. Alongside the main competitions, The Mòd Fringe returns with a bustling programme filled with traditional music, book launches, concerts and art forms of every description, throughout the festival week. The Fringe festival programme, which also launched today, can be found here , on our social media pages, in The Oban Times and in various pubs, hotels and other venues local to Lochaber. Highland Councillor, Alister Mackinnon, Chair of the Corporate Resources Committee said: “We are delighted that the Royal National Mòd is returning to Lochaber, an area in Highland where Gaelic and its associated culture remains part of the community. We are also pleased to be supporting The Royal National Mòd as the event has a great deal to offer the Gaelic community. It will be a pleasure to welcome all the visitors to the Highlands, including those from overseas, who should enjoy the convivial atmosphere, the great range of singing and musical competitions, the many informal ceilidhs, lectures and the various events on offer as part of the exciting fringe programme. The Mòd puts Gaelic on local, national and international platforms, as it provides the opportunity to showcase the best of our language, culture, in the areas where we live, learn, and work. Paul Bush OBE, VisitScotland’s Director of Events, said: “Scotland’s unique Gaelic heritage is a wonderful part of our national identity. We are delighted to be supporting the Royal National Mod to celebrate this, especially during Scotland’s Year of History, Heritage and Archaeology. 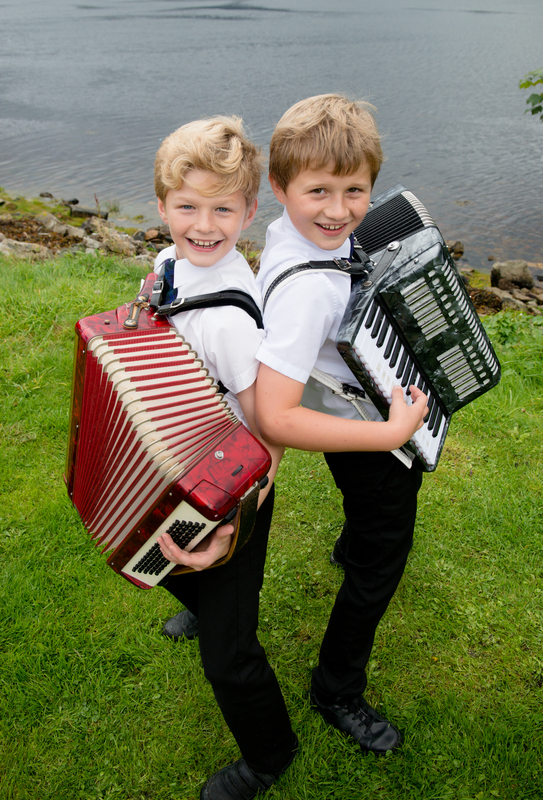 Once again the organisers have a jam-packed programme of music, highland dancing, drama plus much more, for the Gaelic-speaking community from both Scotland and further afield to enjoy.